That prompted us to pick NY as the place to host our first Disruption Forum in the US (not that it needed much debate, though). 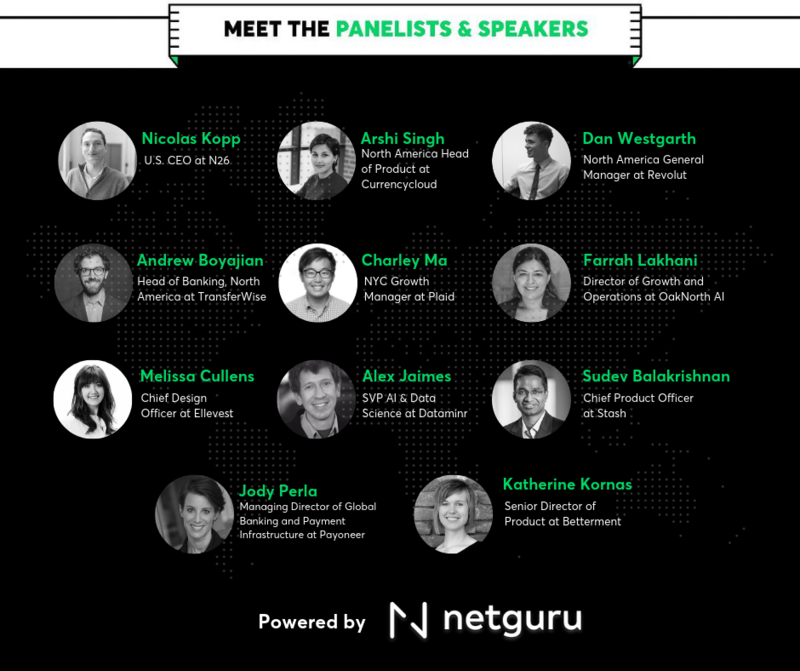 We chose to host our event during NY FinTech Week, because it's when all the key players are in town. 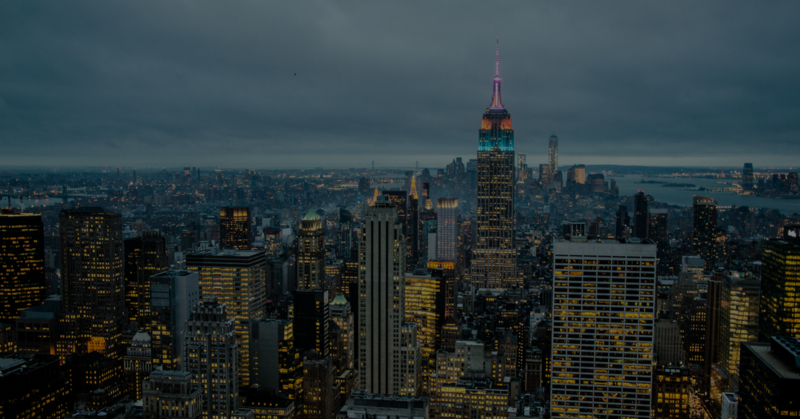 To get an insider look at the NY fintech scene, I sat down for an interview with Monica Murthy, the Program Director at Empire Startups, an organizer of New York Fintech Week 2019 (April 1-5). is there room for European fintechs on the US market. Empire Startups is dedicated to supporting fintechs from the earliest stages, through to unicorn status. Since 2012 it has grown to be the world’s largest community of fintech entrepreneurs, investors, and banking innovators with over 20,000 members. At Empire, Monica is a connecter in the fintech ecosystem. She hosts community events and works with startups and financial institutions to bridge gaps in the industry. 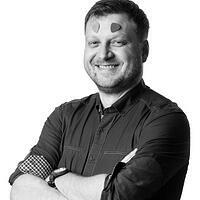 Tomasz Grynkiewicz, Netguru: As the Program Director at one of the most important institutions in the fintech space, what do you see as the number one challenge for the industry? Monica Murthy, Empire Startups: I think it's breaking down barriers between financial institutions (FIs) and fintechs. It's everything from guiding FIs to the right mindset when working with startups, helping startups navigate the vast corporate structure (and all the regulatory hurdles that come along with it), to making sure the right people actually end up in a room together. In short, bridging the gap. Exactly, that’s the number one driving factor of Empire Startups. You can't trust that the right startup and bank will eventually connect, you need drivers in the industry promoting that collaboration. I'm always a bit disheartened when I see financial institutions build out a product that they could have just partnered with a startup on. To start, it's almost never as forward thinking as what collaboration with a startup could have created. But we do see the process getting smoother every day. For example, Morgan Stanley's hired a former entrepreneur as their Head of Technology and has seen a tremendous overhaul of their integration system. What are the ways in which Empire Startups is driving this kind of cooperation? You see this at our annual NY FinTech Conference, where we curate an attendee list of 40% early stage startups and 30% financial institutions. You also see this in events like our Banking Innovation Roundtable, or our year round monthly meetups. You’ve been working within the New York fintech community for years. What do you see as the number one challenge for fintech founders? We need to see a shift towards global thinking, and no, this does not just mean transatlantic. Most of the fintech founders I know are in the game to help people, and build a more equitable system. Well, guess what, that means you need to start prioritizing emerging markets, who are coming up with their own solutions to their own problems. The key is to empower people in their native ecosystems! What do you see as the most exciting things happening in the fintech industry right now? First, we're seeing more work from the ecosystem to promote B2B collaboration. One of the examples is Blackbox, which is vetting startups before getting them in front of corporates, and cutting out that crazy due diligence process that most B2B startups have to contend with. Secondly, the last 5 years was about encouraging innovative thinking. The next 5 years are about lowering the barriers to entrepreneurship. One of the reasons for the lack of diversity in tech is the high cost (personally and financially) of starting your own venture. There are now tons of organizations like Plum Alley, Backstage Capital, and many others, who are focusing on bridging the funding and mentorship gap in entrepreneurship. And finally AI. This is a clichéd answer, but I'm excited that, I think, we've finally gotten past this myth that AI is the magic sauce in any tech platform, and we're starting to move towards making informed choices about the best use cases for AI, as well as really asking the hard questions about the ethics of AI. Are there any worrying things or trends happening in the industry? I wouldn't say I'm worried about much, although I do see some trends that I think we need to head off. A recent trend I'm seeing is with startups that are operating in the financial inclusion space. They start out with great intentions and messaging, but when they get their first round of funding, they are directed to switch gears to go after an easy demographic for the sake of profitability, with the rhetoric that they can return to the underserved when they've shown significant growth. We need to figure out how to support inclusive fintech startups so they can keep going after underserved demographics. I am really encouraged by a few VC and advisory firms that are working exclusively with financial inclusion startups! We need to push much harder on diversity, and this includes everything from gender, race, sexuality, even to perspective of thought. For example, if you don't come from a small rural town in the south with a population of 3,000, you are never going to understand their struggles, and you are not going to succeed in building a product that caters to that demographic. Speaking of different demographics. How would you compare the NY fintech market to Europe, Asia or South America? I've said this many times before, and it still holds true: NY is one of the global financial hubs, and is thereby one of the strongest fintech markets, simply because all your major clients are here. For example, during NY Fintech Week, we see everyone from Tier 1 banks through to community banks from all over the country attending. NY is seen as a major destination for all things financial and if you're working with Tier 1 financial institutions, you need to be in NY. Does this mean you will not see as many opportunities in other financial hubs? No. In fact, there are many other great US cities to consider, but it really depends on your company’s needs. I've always preached that you need to be where your clients are. If you're working with community and regional banks, you're much better off in a city like Atlanta or Austin. If you're targeting asset managers, head to Chicago. This goes for expanding internationally as well. One thing to add though: when you start seeking new clients, you need to make the investment of a full time sales person on the ground. The biggest factor is your network, and you can't build a strong healthy network without someone on the ground who can hustle and head to events, and head to a coffee meeting at a moment's notice. You’ve just painted a picture of NYC as a fintech paradise. I suspect that in reality it’s not all that rosy. There are always pros and cons. On the flip side, while there is greater access to funding in NY, labor also costs a lot more in NY. We hear time and time again from European startups and Asian startups that NY and SF are more expensive than any other city for talent. You need to factor in how far your budget will stretch in any given city. What tips do you have for fintech NY startups trying to secure funding or make waves on the market? In January, I hosted and moderated our annual VC Meetup, with a panel of B2B VCs. By and large, they all said that a majority of an investment decision is about the founder. Startup founders looking for funding in the US need to leverage their personal brand more than ever before and find a way to effectively communicate their vision. Sometimes, more than the vision itself, that communication is what sells a VC on the investment. If you were to name few companies or people in the fintech world that inspire you, who would that be? In terms of performance and strategy within late-stage companies I’d say robo advisors, across the board. They brought a financial service that was only available to an elite few to the masses. You can now invest your money with little prior financial knowledge, through a platform that adjusts to your knowledge level and risk profile. As far as early stage is concerned: Kindur. They're catering to a generation that has given up on the idea of being able to buy a home, or retire at 65. Future financial security can change people's lives, and not enough millennials are thinking about retirement early enough. What about customer experience, design, technology? Pluto Money - a prime example of meeting the customer where they are, virtually. They're going after Gen Z (which is a largely untapped and misunderstood demographic) and they're doing it right! They haven't just gamified personal finance, they've understood their consumers' true motivations and struggles, and codified that in the platform's design. Regarding technology, Nova Credit. This is social good at its core. They're transferring international credit data across borders, so immigrants can arrive in the US and do simple things like renting an apartment, getting a car loan, getting a US credit card. Last question: there are a lot of fintechs from Europe trying to get a foothold on the US market. Do you feel there is room for neobanks or payment providers? I think it's a vastly different road for neobanks and payments processors. For neobanks, there is a significant struggle. First off, they are struggling to get banking licenses in the US. Second, their market share is low enough in their home markets that expansion seems premature when there isn't a path to profitability yet. Incidentally, a friend and I were having this same conversation a few weeks ago, and he wrote a blog post about all the different facets of the conversation. For payment processors, I think the field is so saturated that you need to come out with something truly unique and a step above the rest in order to see success.